This image demonstrates Hyperopia which is commonly known as Farsightedness. A person who is farsighted has difficulty or the inability to see things that are nearby clearly. 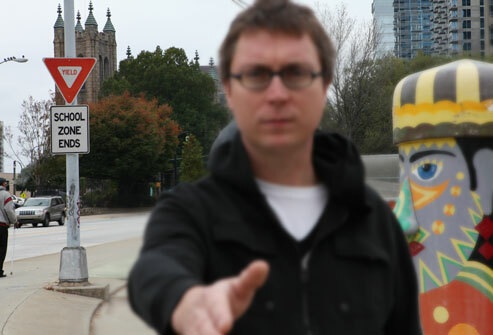 As shown in the image, The trees and road in the background appear to be clear but the person standing right in from of the view is blury. As someone that is farsighted, It can be straining to look at things that are close to me. I constatnly get headaches when I’m trying to study due to having to read textbooks. Like this image, I have trouble seeing people when they are directly in front of me which makes it harder for me to make eye contact.